Cordyceps Sinensis is of potent benefit to cardiovascular function and stamina, and was credited as the reason Chinese athletes broke so many world records at the Sydney Olympics a few years ago! Also a great tonic for the lungs and kidneys. Medicinal use of the caterpillar fungus originated in Tibet. So far the oldest known text documenting its use was written in the late fourteen hundreds by the Tibetan doctor Zurkhar Nyamnyi Dorje [1439-1475]. Some Tibetan doctors suspect that its use might date back even further, but under different names. 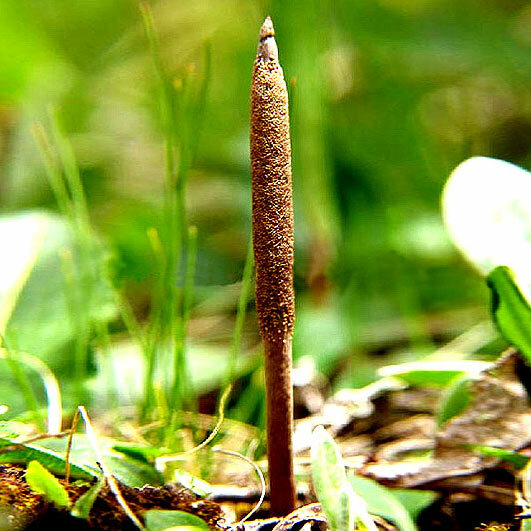 The fungus is a medicinal mushroom which is highly prized by practitioners of Tibetan medicine. Originally, Cordyceps Sinensis was harvested in Tibet, growing out the back of unfortunate Caterpillars. Thankfully, today, sterile mycelium grown in laboratory conditions which then have the potent health enhancing compounds extracted mean the "ick" factor has been completely removed. Energizer Cordyces is used to combat chronic fatigue and low energy levels. Through a placebo controlled study, cordyceps extract was shown to improve energy levels and reduce fatigue in the subjects, without any side effects, such as with coffee and caffeinated teas. Boosting Immunity Research has shown that cordyceps can boost the ability of the immune system in a number of ways, including by increasing the activity of helper T-cells and natural killer cells. The spleen is the largest organ of the immune system and is where bacteria are filtered out of the blood, and Cordyceps accelerates spleen regeneration. Cordyceps also increases Superoxide Dimustase (SOD) which is an important enzyme and has been shown to support and enhance the function of the immune system. Cardiovascular Benefits Heart disease is one the leading causes of death of humans in the West. Human and animal studies have both shown many positive benefits of Cordyceps for cardiovascular health. These studies showed a positive effect on arrhythmias, ischemic heart disease, and chronic heart failure. Animal studies showed that Cordyceps can dilate the coronary arteries and increase blood flow to the heart. Other Cordyceps Benefits include respiratory support, improving adrenal and sexual function, improving kidney function. Each 500mg vegetarian capsule contains standardised 30% Cordyceps Sinensis Polysaccharide extract, extracted from laboratory grown Cordyceps mycellium.